Q. How do I find physical books in the library catalog? Sometimes you just want to hold (and read) an actual book. We have millions of them! The library catalog searches both electronic and physical holdings. This guide will help in those times when you need physical books. 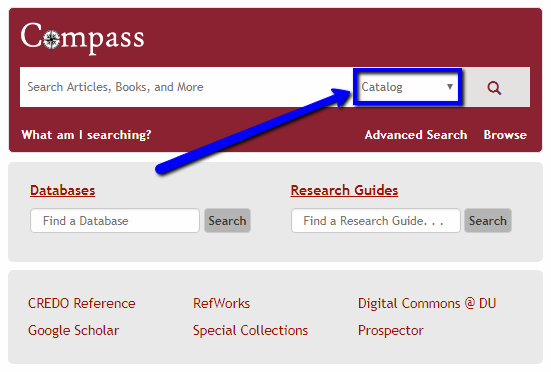 Start by searching in the Compass search box on the library homepage. "Search All" is the default setting, but since you are looking for physical books, you should switch the drop-down menu to the "Catalog" setting before executing your search. 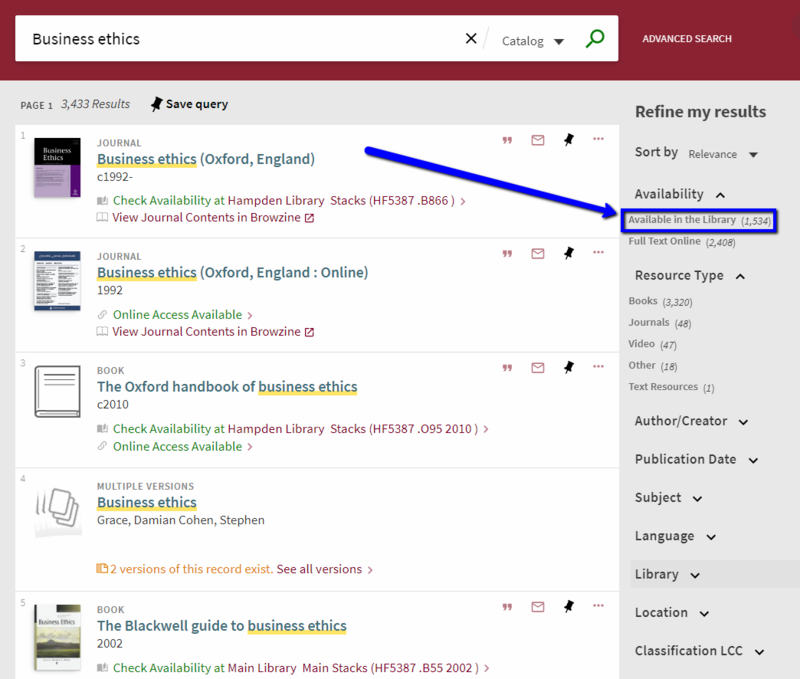 After executing your search, use the right-hand sidebar to refine your results to include only those items "Available in the Library." Note that this will show you physical items regardless of location in the University Libraries system. If you scroll down in the right-hand sidebar, you can limit your search further to only show you items at the Main Library, or to exclude items at Hampden, our off-site book storage facility. 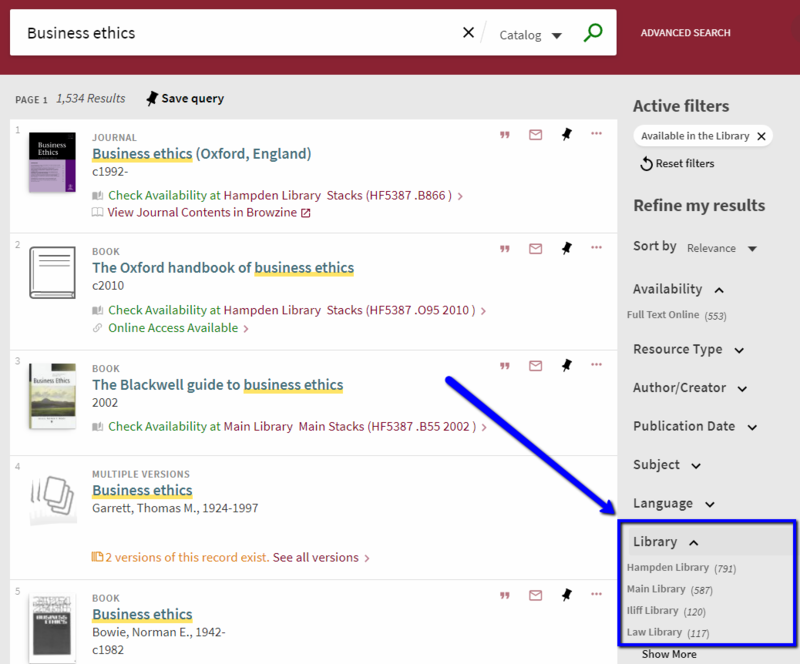 Even if you haven't started your search by looking for physical catalog items, at any time you can limit books more specifically by location using the next factor down on the right-hand sidebar. 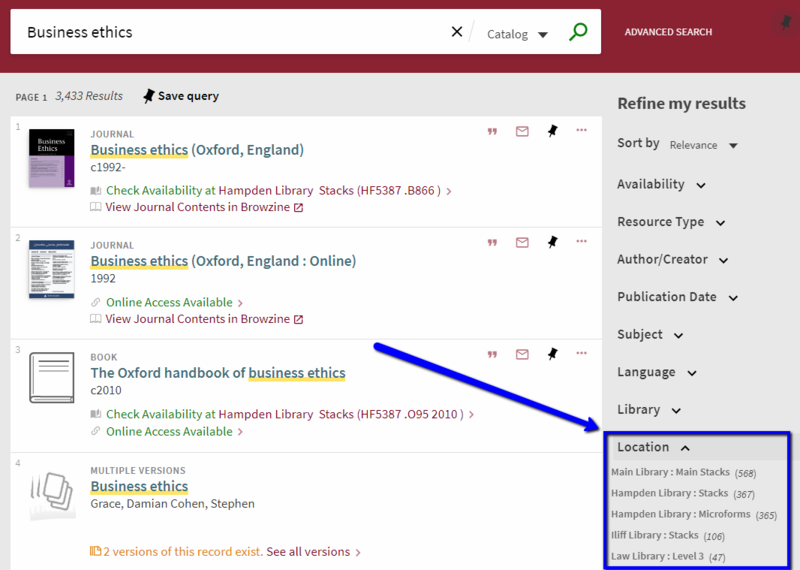 From here you can choose to exclude any of the locations by hovering over a location and clicking on the red button that appears, or alternatively you could select a single location and your results will repopulate to show only those items housed at a particular location, such as the "Main Library: Main Stacks." This would only show books that are in the Anderson Academic Commons on the bottom floor. For further explanation of what each location means, see the Locations FAQ. Contact the Research Center if you need more help using the library catalog!